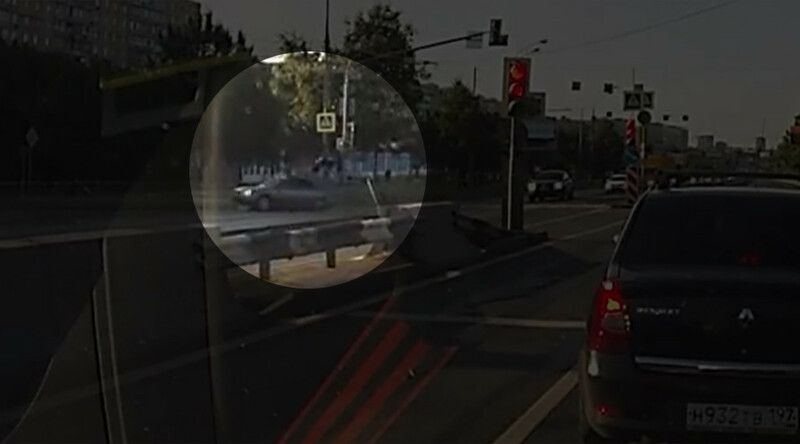 A woman and a child have been hit by a car in a chilling accident that took place in northeast Moscow and was caught on camera by one of the cars that was driving by. A woman and her daughter, 10, were crossing the road at a green light when a Hyundai moving at high speed ran into a road fence near them and then hit the people, who were almost on the roadside. The incident was captured on a video by a dashboard camera installed in one of the cars that were driving by. The video shows the people being flung away after being hit by the car. Another video of the incident was captured from a nearby building. The woman died at the scene while the girl and the driver of the car that hit the pedestrians were hospitalized, Russian media report, citing police sources. The causes of the incident are still being investigated.